Muncheye & online marketer Noel Cunningham announced the launch of Infogfx Wizard a full-featured infographics creation software. Launching on the 5th of April, 2019, the software features drag-and-drop design, instant publishing, and is bundled with hundreds of ready-to-use graphic elements. Internet launchpad Muncheye & marketer Noel Cunningham announced the launch of Infogfx Wizard, a point & click infographic creation software. The product is scheduled for launch on the 5th of April, 2019. Infographics are powerful visual tools that are used to present dense and layered data in a visually appealing and comprehensible format. Neuroscientists at MIT estimate that the human brain can retain visual information that is presented for as short as 13 milliseconds. Research by multiple marketing research bodies has confirmed that visual information improves page views, social media engagement, and traffic growth. Infogfx Wizard is a quick and affordable alternative to expensive data gathering and graphic design services to generate infographics. Infogfx Wizard can be used to generate an unlimited number of downloadable infographics for online or print media. The WYSIWYG editor supports drag-and-drop design with intuitive editing and publishing features. The software is fully online with 24/7 access, easy updates, and includes access to a professional members area and over-the-shoulder training video content. The infographics generation wizard features hundreds of pre-designed vector graphics elements and 10 Done For You infographic templates. Users may upload their own images or graphic elements and enjoy unlimited undo/redo history. Infogfx Wizard is available with a full developer license and can be used to improve engagement, lead generation, and traffic. The product does not require users to have any prior knowledge or experience of graphic design tools. 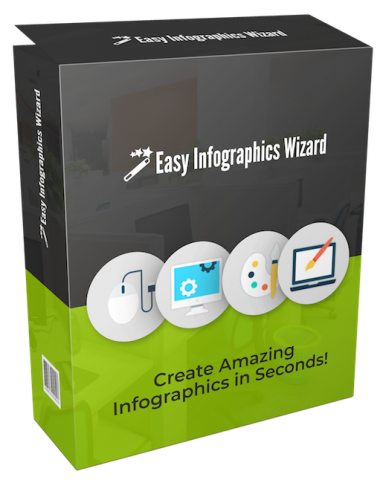 Infogfx Wizard is an easy infographics creation wizard developed and marketed by product creator Noel Cunningham. The software package will feature an inexpensive front-end price of $20. The launch is expected to be a 3-day special from the 5th through the 7th of April, 2019. More information is available by visiting https://muncheye.com/easy-infographics-wizard and at the URL above.